In brightest day. In darkest night. No evil shall escape my sight. Let those who laugh, at my lack of height, beware my banjo, green froggy sight. Kermit: Sorry about that guys. Something in my throat. 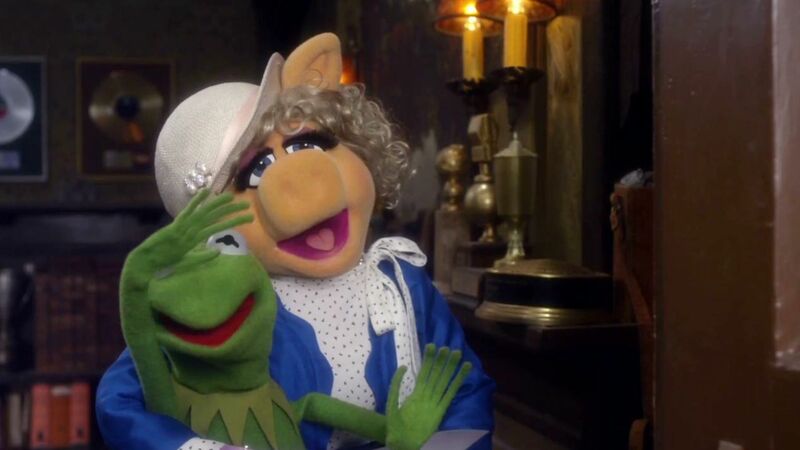 Miss Piggy: We need you! Come on guys, let's go. Muppets, it looks like the joke's about to be on them. If I didn't know any better I'd say you were reciting some kind of important plot point. Wait, wait, stop. Is this another Muppet trailer parody? We don't we just show a real trailer. I mean, what are we hiding? Did we make the movie in Swedish or something?